This home is a piece of Bakersfield Basque history. It is located on a large corner lot and is zoned C-1. Mature landscaping provides a unique setting reminiscent of many established Bakersfield neighborhoods. The home retains original build features including unique wood floors, oversized crown and base moulding, and original doors on the inside. The outside features many windows for abundant natural light. Arched features on windows and the front entry door give this home a unique signature. 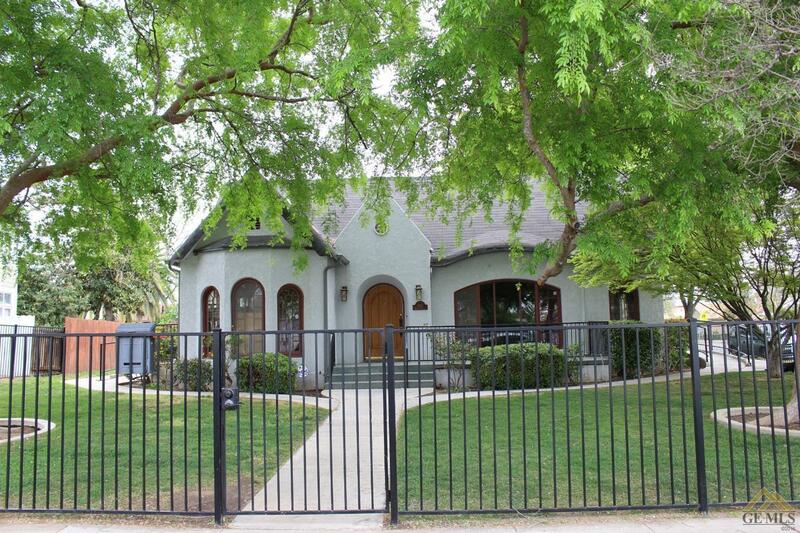 The front of the property is entirely enclosed by a freshly painted wrought iron fence. The backyard is featuring a large concrete patio is entirely enclosed by a freshly painted masonry wall for privacy and seclusion. It features a covered carport with gate. The home is wired for security, includes multiple wheel chair ramps, and dual central air and heating units.